Lambert Elementary School has a new digital sign sitting outside their building. They recently received a five-thousand dollar grant from the Dubuque Racing Association to help purchase a new digital display. The old electronic message center had failed after about ten years of use. 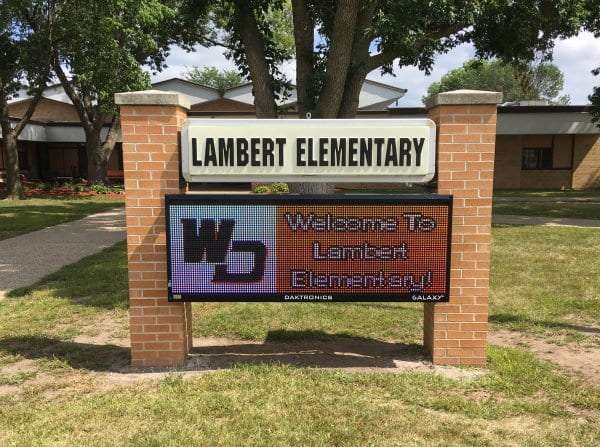 Principal Rudy Hameister says the new sign will allow Lambert to help keep parents and students informed about upcoming school activities and events. It will also help inform parents about times when school is closed or closing early because of the weather. The new sign was installed last week.